A somewhat novel approach is being made to target the local medical marijuana bans that have been made in various cities across the state – this one in San Bernadino. While our Los Angeles medical marijuana lawyers question whether it will be successful, it’s of course noteworthy that those who advocate for patients rights are fired up and willing to continue the fight against these unjust restrictions. In this case, a lawsuit filed in San Bernadino Superior Court claims that the local ban on dispensaries and outdoor growing that was passed in March of last year is in direct violation of the state’s Environmental Quality Act. The suit was filed by an attorney in Riverside, who is also the director of the Crusader for Patient’s Rights. According to a story on Southern California Public Radio, the attorney indicates that she’ll be basing part of her argument on recent scientific evidence indicating the carbon footprint of medical marijuana accounts for approximately 1 percent of all electricity use in the country. What this does, she claims, is highly increase the amount of greenhouse gasses emitted – which is bad for the environment. Not only that, she claims that marijuana that is grown indoors lacks the quality of that grown outside. The state’s EQA, which was passed in 1970, mandates that there be a full analysis of the potential environmental impact of any development that is proposed. So what does that have to do with the local ban? 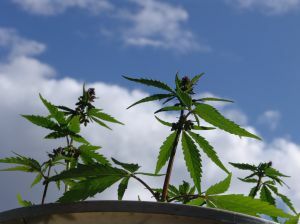 Prior to the ordinance banning outdoor grow operations, people implored the local government to reconsider, saying that they would be forced to consider some difficult alternatives, including the possibility of growing the plant indoors. There is a cost to the environment there, as well as the additional burden placed by vehicles traveling back and forth to Los Angeles to get their medicine there. Times that by the nearly 90,000 patients with a prescription for cannabis in San Bernadino County, and the environmental impact does seem steep. The 58-year-old marijuana lawyer from Riverside is also a patient, having been diagnosed with multiple sclerosis, according to the radio station. She maintains, rightly, that Americans have a right to seek herbal remedies over pharmaceutical ones. Local government officials who backed the ban say they don’t believe that this suit will be successful, and say that neighborhoods are better off without the dispensaries. Of course, that all depends on who you ask. If you’re a patient suffering from chronic pain or some other ailment, you would likely not say life is better now that you must travel over an hour away to get your medicine. While her argument about environmental impact may be technically accurate, the judiciary may view it as a stretch.